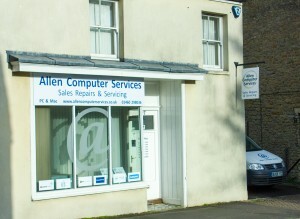 Allen Computer Services (ACS) has over 20 years’ experience of computer & laptop repairs, upgrades and maintenance. Our business has grown through the personal recommendations of our customers, satisfied with prompt, efficient service and value for money. We became a Limited Company on the 1st June 2013. Founded in May 2009, we now have over 1,700 personal and small business customers. ACS use the most up to date computer hardware diagnostic tools, provided by PC-Doctor Service Center. Their diagnostic software means hardware faults are quickly identified, which saves you the customer time and money. Where appropriate, a copy of the diagnostics report is supplied to you. We provide full cloud based Antivirus and Backup solutions. We are also able to provide support with our ink, toner, paper, copy, fax and printing services. Professional Indemnity, Employers Liability & Public Liability via Simply Business. 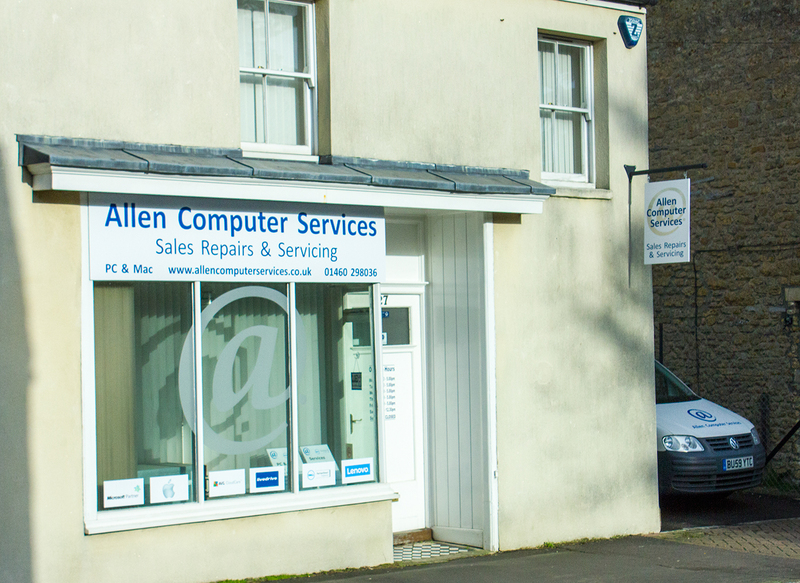 Our office in Crewkerne is open from Monday to Friday 09.00 – 5.00 and Saturday 09.30 – 12.30. It is advisable to telephone us on 01460 298036 prior to calling in. We will attend your home or business premises as necessary in South Somerset, West Dorset and East Devon.